What if you had a superpower? 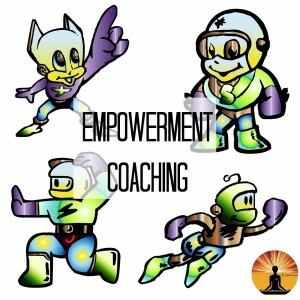 What if, just like a superhero, you could aim that superpower at anything you want to change in your life: relationships; health; people; career; finances, and much, much more? The good news is: you do have that power. You only need to learn to tune in to it and develop the skill to use it effectively. Odille has created very simple exercises and tools that will help you to do just that. As an author and life coach, Odille specializes in teaching others how to use unconditional love and compassion as a power to achieve tangible results in all areas of their lives. 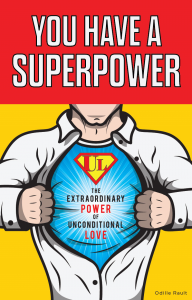 Through detailed explanations, analogies and true stories, YOU HAVE A SUPERPOWER explains exactly what the power of unconditional love is, how it works, and how you can use it to create the life you desire. The exercises, techniques and tools will help you to develop your skill in using your power from learning to tune in to it on demand in any circumstances, to aiming it at specific issues, people and situations. 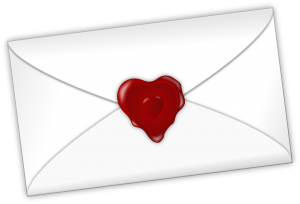 Learning to send unconditional love to those parts of me that were causing me to experience fear, guilt, anger- and creating havoc in my relationships was powerful stuff, life altering! I finally understand how to channel my power through unconditional love! I love knowing that I can direct my power at anyone or any situation and change my reality in any way I choose! I love feeling my power surge through me as I experience the feeling of unconditional love!!! This is one of the best self help books that I have ever read. I started my journey into personal development 18 years ago, I have over 200 self help books collecting dust. 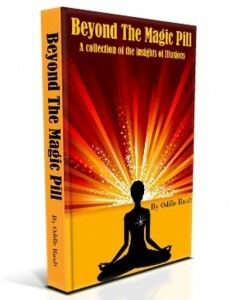 This book along with Beyond the magic pill written by the same author is awe inspiring. Odille explains how to love yourself In the most simplistic way which is so effective. Uncondional love is the answer the miracle cure it will change your life for the better. Absolute must have in your collection of self help books!!! Simple, brilliant concepts which will help you with ANY challenge in your life! I have read so many books by so many teachers and this one is unique and EASY and truly brilliant! You will especially love the analogies in the book which make the lessons instantly ready to use. It would also make an AWESOME GIFT! A compilation of forum posts and messages over several years, this book contains insight pertaining to the Law of Attraction, solutions to various life challenges, tools, techniques… and an introduction to the Power of Unconditional Love. 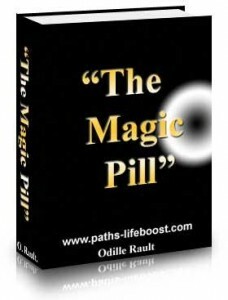 It also contains THE MAGIC PILL and THE SECOND DOSE as the first two chapters. “This book tells you, in a very simple and detailed way, how to feel Loved, and how to radiate that Love to everyone you meet, no matter what the circumstances are. These two little ebooks are free, and share a unique and effective method for developing and increasing self-love. They’re only about 8 pages each, but the information in them is life-changing. This is the fastest, easiest way to learn to love yourself I’ve ever come across!